Voice First in Senior Living -- What's Happened and What's Next? Senior Living organizations are eager to try new technology. Over the years, consider the pilots of Rendever (virtual reality) at Brookdale, Benchmark’s pilot of Google Home and Samsung tablets, or CarePredict in LifeWell facilities – just a few of the many. Some pilots are even documented in the form of case studies – about what worked – or what might not have worked. Pilots are typically newsworthy at their start. And they may produce a list of lessons learned upon completion – or a set of considerations for future pilots. So where does Voice First technology fit into the senior living equation? The newest of technologies – voice first – sparks interest. 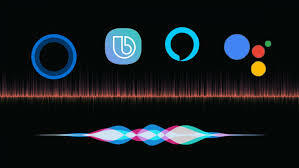 Credit Front Porch for being one of the first in voice first – piloting and writing up the results – empowering the participants to both speak requests and control their environment with smart home commands. But pilots of Voice First technologies are widespread today – see Commonwealth Care Alliance and Orbita. AARP Foundation, and Libertana Home Health, WebMD. or Answers by Cigna. And new entrants are emerging to tackle Voice First in healthcare – see Suki’s recent raise of $20 million – perhaps hoping to beat Amazon to the behemoth’s own healthcare punch. Senior living companies have launched Voice First pilots and projects. Carlsbad by the Sea (including smart home features), The Branches of North Attleboro (including smart home), and Park Creek Independent Living (pilot just launched – including a free device). There are numerous others – some with press releases like the Park Creek one, or noted in senior living publications, as with Front Porch. Expect more pilots of Google Home, Samsung SmartThings and wearables that can respond to voice command. Senior living - please report successes and lessons learned. For senior living organizations, many questions, not so many answers just yet. Who buys the device – the resident or the community on behalf of the resident? How are they managed and deployed – by an IT staffer? Remotely set up or in person? WiFi upgraded before deployment? Who receives notifications from smart home technology? Are concierge services part of the plan – initiated at the front desk? Or in apartment? Integrated with other senior living technology? And is Voice First now a mandatory feature of resident engagement solutions? If not now, then by when and with what caveats? What are the biggest concerns, for example, might they be protection of user security and privacy? Who Buys Innovative Devices in Senior Living? Permalink Submitted by Peg Graham (not verified) on Wed, 06/06/2018 - 13:23. Your question, " For senior living organizations, many questions, not so many answers just yet. Who buys the device – the resident or the community on behalf of the resident?" REALLY resonates. I would argue that VALUE is created for both the community and the resident and therefore, the cost of the device should be shared. The device could be treated as a "capital investment" by the community, and charge the resident a monthly fee. Costs of maintaining and servicing the device could be included. One of the major obstacles to innovation in senior care is the need to assure manufacturers that there is a market for innovation. Reliance on residents to make a consumer purchase yields small market estimates that discourage investment. If the market was comprised of communities making volume purchases, that creates a much larger market estimate, large enough to encourage a manufacturer to proceed. Such investment could be seen as a marketing strategy, giving one community a competitive advantage over another community who chooses not to invest. For senior living organizations, many questions, not so many answers just yet. Who buys the device – the resident or the community on behalf of the resident? Permalink Submitted by Leon Coe (not verified) on Thu, 06/14/2018 - 09:59. I'm the co-founder of CT Home, the partner company on the Park Creek Independent Living project. We believe voice platforms like Alexa are the easiest tech platforms to use for seniors. The technology minimizes frustration and maximizes benefit for seniors. Here's a short article we wrote on the best features for seniors. We agree this field is very new and there are still operational challenges to resolve. Overall, we are most excited for the independence this type of technology can empower seniors with. If you have any questions please don't hesitate to reach out to us.